In case you haven't decided what to make for Easter yet, here are a few ideas for the desserts. These bright and cheerful beauties came about after I found a bag of lemon meringue marshmallows at Walmart. 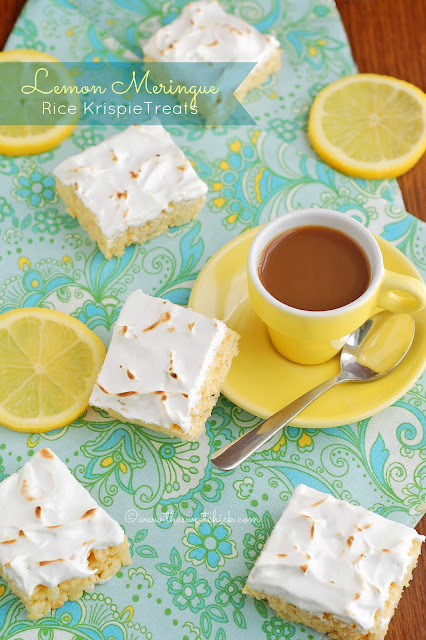 I thought, hmmm, lemon meringue Rice Krispie treats? Yep, that sounded like a good idea. By adding fresh lemon juice and rind, I achieved a nice tartness. And the meringue balanced it off with a little bit of sweetness. If you love lemon meringue pie, you are going to love these fun, easy treats. I had to make cookies for my daughter's school again the other day. 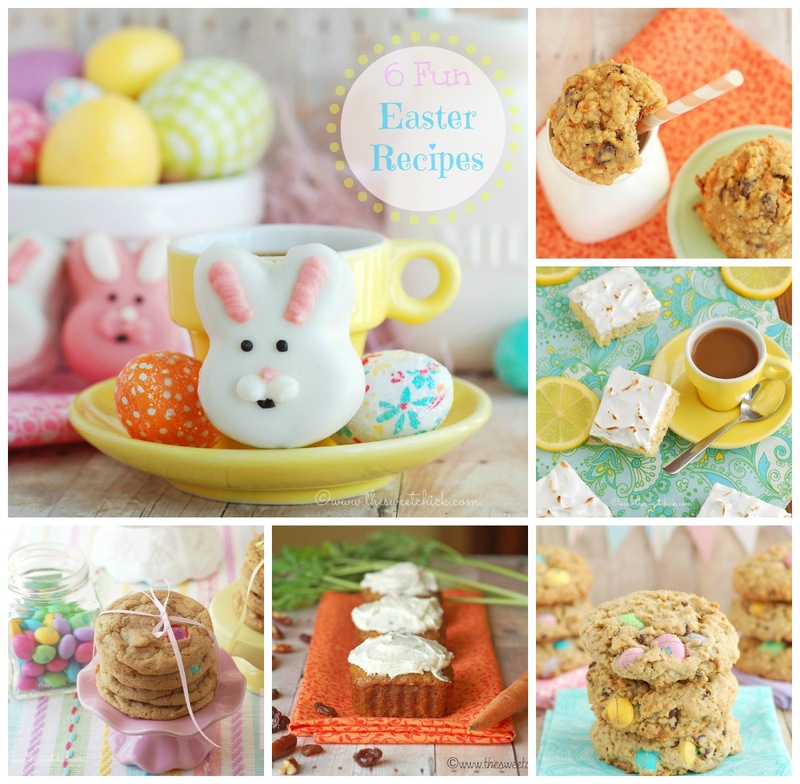 So I went through my baking supplies to get some inspiration. I found some white chocolate chips, mini chocolate chips, and some maple butter in the fridge. Hmmm...what to make? I pulled out the can of Quaker Quick Oats and looked at the recipe for Vanishing Oatmeal Raisin Cookies. 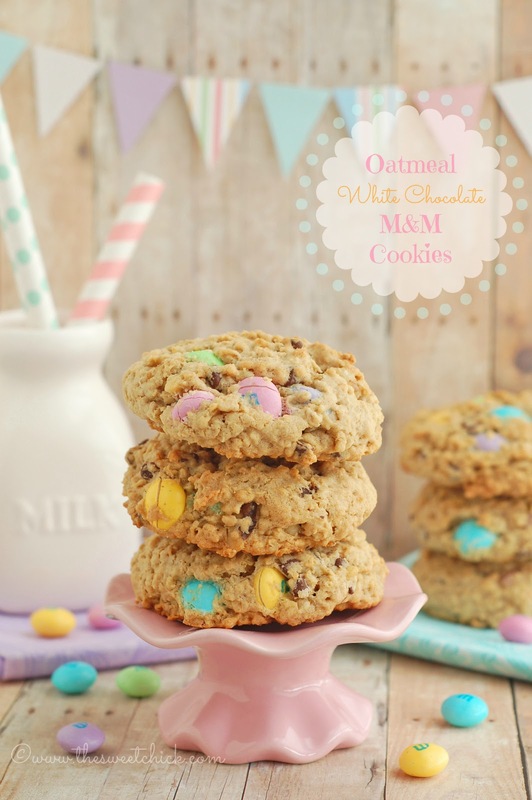 With a little editing, I came up with some great tasting cookies. My husband said they were the best cookies he has had yet. 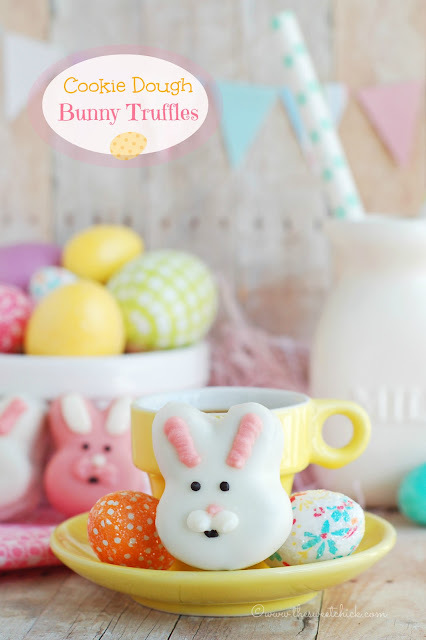 So I made them again, using white chocolate M&M's. And this time I made them jumbo size. Good stuff and bad stuff this past week. Good stuff - we finally have a contract on our house. So that means we are one step closer to selling it. Yippee! Bad stuff - my daughter had a stomach virus that knocked her out for three days last week. Then hubby started feeling not so hot. Now the little one has a fever. We will see what happens tomorrow. I do pray that the stomach virus passes over me this year. Last year when my children were so kind enough to pass it along, I ended up with a broken tooth, mashed up mouth, stitches and an ambulance ride. I'd prefer to skip the fun this year. 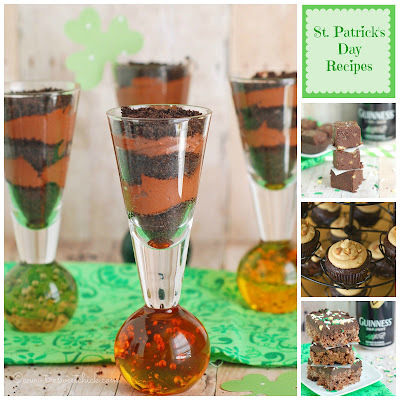 In case you haven't found any good recipes for St. Patrick's Day yet, here are a few ideas for you. Ok, so I don't usually post anything non-food and I don't usually post about book review, but this one is too funny. A bunch of mom bloggers got together and wrote some real life essays about being a mom and how to find humor in it. This is something I can totally relate to. I have two kids that on good days are sweet and charming, but on bad days are whiny, clingy, hard of hearing, uncooperative, and mean. Oops, I guess the bad outweighs the good sometimes. That's when you need a good laugh. Come on, let's get dirty! 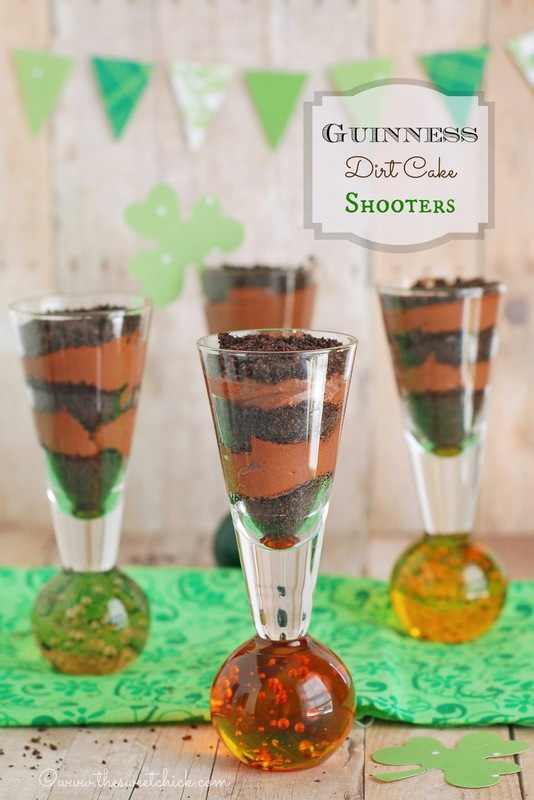 This ain't your mama's dirt cake, this one is downright sinful. If you are hosting a party for St. Patrick's Day, you are going to want to add this recipe to your list. 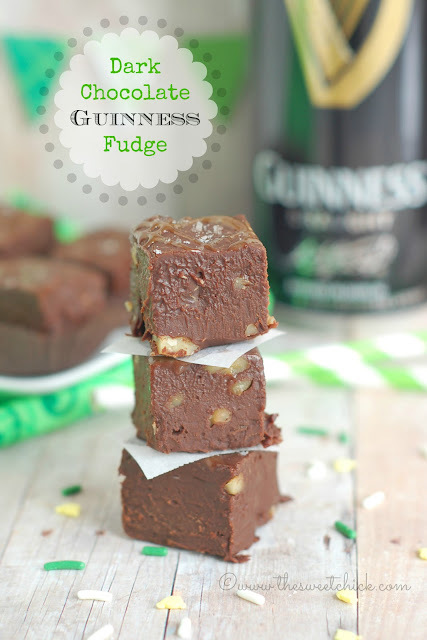 It has twice as much Guinness as my last two recipe (Dark Chocolate Guinness Rice Krispie Treats and Dark Chocolate Guinness Fudge) and even more rich in taste. My grandmaman always made the best pies. Maple sugar pies, blueberry pies, raisin pies, etc. She always had a freezer full of homemade pies. But the one I used to ask her to make the most when I was younger is this dinner pie. It's a simple pie, just mashed potatoes and a package of salmon. Of course grandmaman made her pie crust from scratch. That is on my bucket list of things to learn how to make. One day, when I have more free hours in a day, I will conquer it. For now I keep it simple and buy the ready made pie crusts. Come on and join me over on the dark side. It's been heaven over here lately. I can't get enough of dark chocolate. I will let you in on a little secret..this is my first attempt ever at making fudge. And you know what? I nailed it! I am really proud of this fudge. It is moist, rich, and chocolaty smooth. It has just the right essence of Guinness beer. Even had my sister-in-law who doesn't like beer, but loves dark chocolate, loved it. It doesn't taste like alcohol, just a really good dark chocolate.